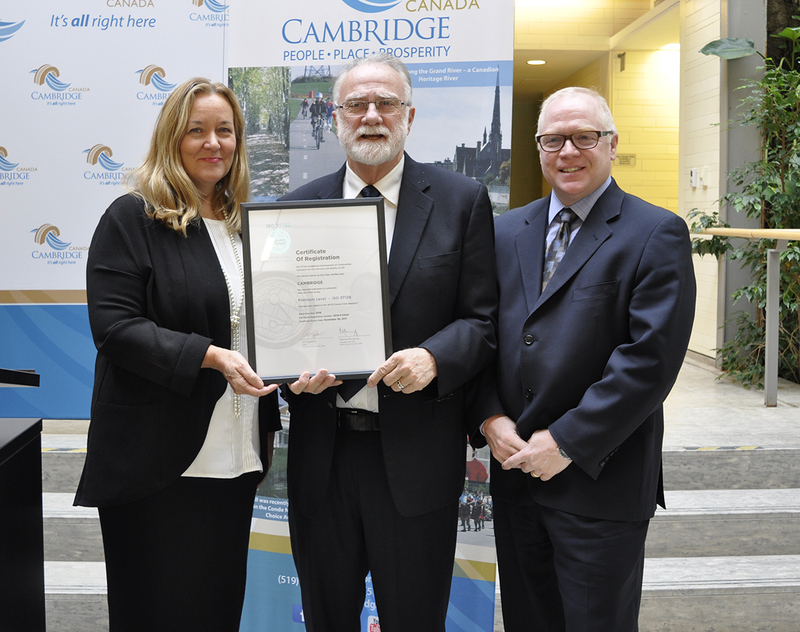 WCCD Welcomes Cambridge, Ontario as a WCCD Platinum ISO 37120 certified city! On Friday, December 16, the World Council on City Data (WCCD) officially recognized the City of Cambridge with ISO 37210 Platinum certification. The City becomes the third and smallest city in Ontario, and only the sixth in Canada, to receive this internationally-recognized certification. It is awarded to cities who reach the highest standard in collecting and sharing data, and using it for effective decision making. The WCCD is the global leader in standardized city data that helps create smart, sustainable, resilient and prosperous cities. Cambridge’s membership in the WCCD gives the City the opportunity to compare best practices with other cities and actively participate in a worldwide organization that uses standardized metrics to find solutions to shared problems. Cambridge’s ISO 37120 data is now viewable on the WCCD Open City Data Portal (accessible through www.dataforcities.org) which allows for local, national and international comparisons. The ISO certification comprises 100 indicators around 17 themes on city sustainability and quality of life. It is awarded to cities based on the recommendation of an independent third-party verifier who reviews city data. To learn more about the WCCD and the certification, please visit www.dataforcities.org.